It was either that or a Colorado ZR2. Last night’s MLB All-Star Game in Miami proved to be one for the ages. After going an extra inning, the American League walked away victorious with a game-winning homer by Seattle Mariner Robinson Cano. Cano, meanwhile, walked away with his first MVP trophy in eight All-Star game appearances, and a brand new Chevy Corvette Grand Sport. 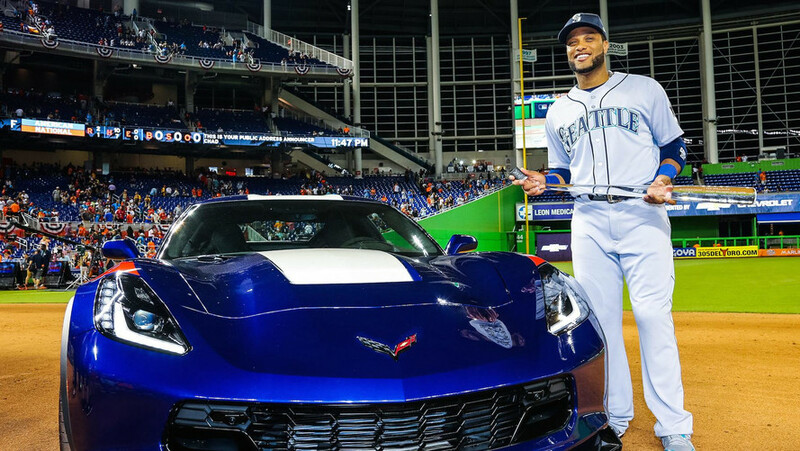 After going 1-for-2 in the game with a game-winning home run, an RBI, and a run scored, Cano was given the choice of either a 460-horsepower (343-kilowatt) Corvette Grand Sport, or a trail-rated Colorado ZR2. Naturally, Cano chose the former. He’s just the third Mariner to win the coveted All-Star MVP trophy following Ichiro Suzuki in 2007, and Ken Griffey Jr. in 1992. "Robinson Canó turned in a tremendous performance tonight and is an excellent example to all baseball fans, and especially our kids, that hustle, determination and teamwork are what wins, and that is why Chevrolet is proud to present the MVP award," said Brian Sweeney, U.S. vice president of Chevrolet. For reference, the Corvette Grand Sport has an asking price of $65,450, and delivers the aforementioned 460 hp (343 kW) courtesy of a 6.2-liter V8. From a standstill, the Grand Sport is able to sprint to 60 miles per hour (96 kilometers per hour) in just 3.6 seconds paired to an eight-speed automatic transmission. The Colorado ZR2, meanwhile, has a starting MSRP of $40,000 and comes pre-loaded with a range of off-road accessories, a 2.8-liter engine good for 186 hp (138 kW) and 369 pound-feet (500 Newton-meters) of torque, and a towing capacity of 5,000 pounds (2,267 kilograms). Whichever option Cano did decide, both are impressive machines nonetheless. 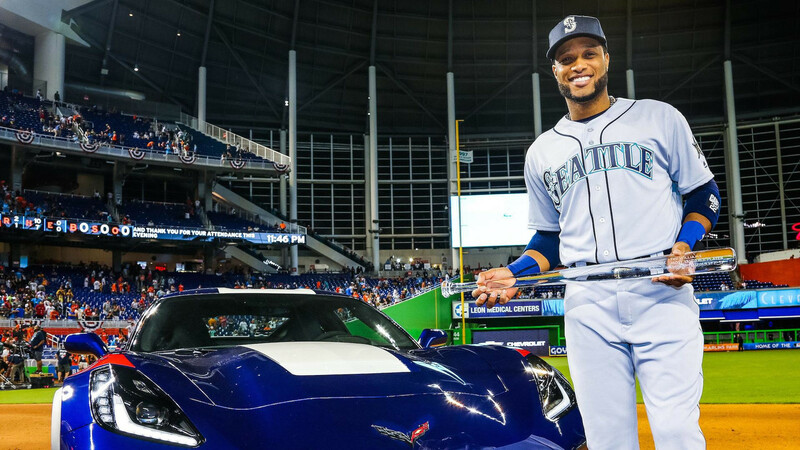 The 2017 Ted Williams All-Star Game Most Valuable Player, Robinson Canó, chose a Chevrolet Corvette Grand Sport during the MVP award ceremony presented by Chevrolet at Marlins Park in Miami on Tuesday night. 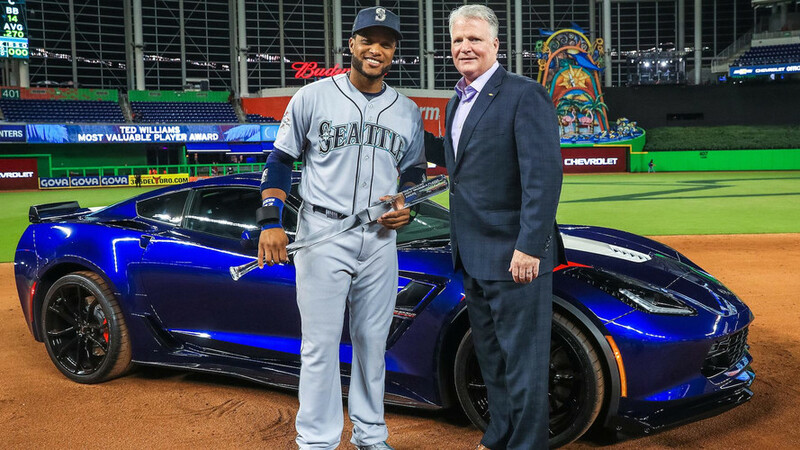 Chevrolet, America’s most-awarded car company, gave Canó, who went 1-for-2 in the contest with a home run, RBI and a run scored, his choice between the 460-horsepower Corvette Grand Sport or the trail-ready Colorado ZR2. This is Canó’s first All-Star MVP award and the third Seattle Mariners player, joining Hall of Famer Ken Griffey Jr. (1992) and Ichiro Suzuki (2007). His solo home run at the top of the 10th inning proved to be the game-winner. “Robinson Canó turned in a tremendous performance tonight and is an excellent example to all baseball fans, and especially our kids, that hustle, determination and teamwork are what wins, and that is why Chevrolet is proud to present the MVP award,” said Brian Sweeney, U.S. vice president of Chevrolet. Chevrolet has been the Official Vehicle of Major League Baseball® since 2005 and through its Chevrolet Youth Baseball program has donated more than 135,000 equipment kits, renovated more than 9,400 parks and impacted more than 6.7 million boys and girls across the U.S.
“At Chevrolet, we appreciate the positive effect that playing sports has on our kids and that is why it is so important for our brand and our dealers to support baseball at every level,” said Sweeney. The Corvette Grand Sport that Canó chose features heritage-inspired design cues combined with a track-focused chassis and suspension elements that build on a legacy established in 1963, when five Grand Sport race cars were built under the direction of the Corvette’s first chief engineer, Zora Arkus-Duntov. 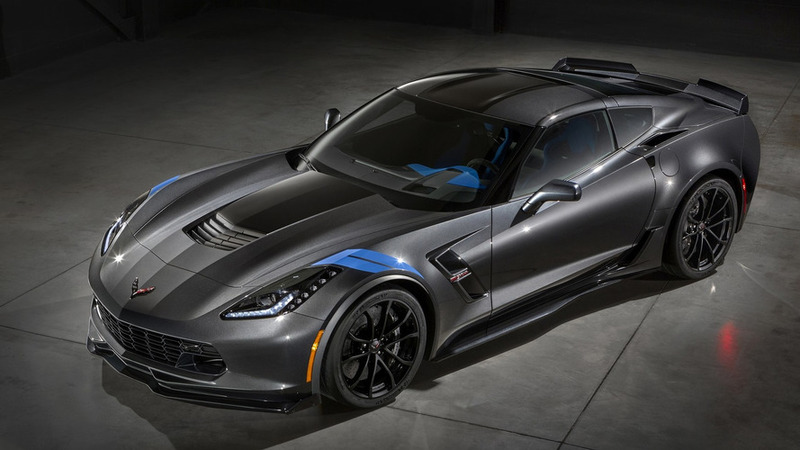 The Grand Sport offers estimated 0 to 60 mph performance of 3.6 seconds and quarter-mile capability of 11.8 seconds at 118 mph, with the available Z07 performance package and available paddle-shift eight-speed automatic transmission.